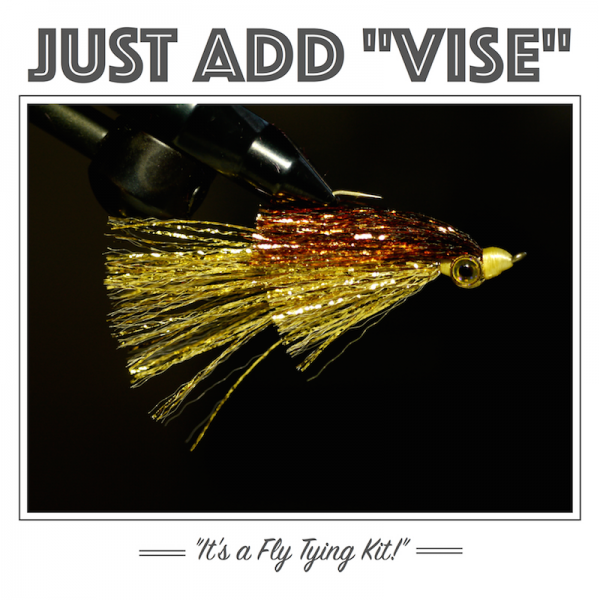 Our JUST ADD “VISE” fly tying kits are super popular, and we’ve added some new patterns for the 2015 season. These kits are designed for tyers who have grasped the basic moves of fly tying, and are priced just as if you bought the materials individually. 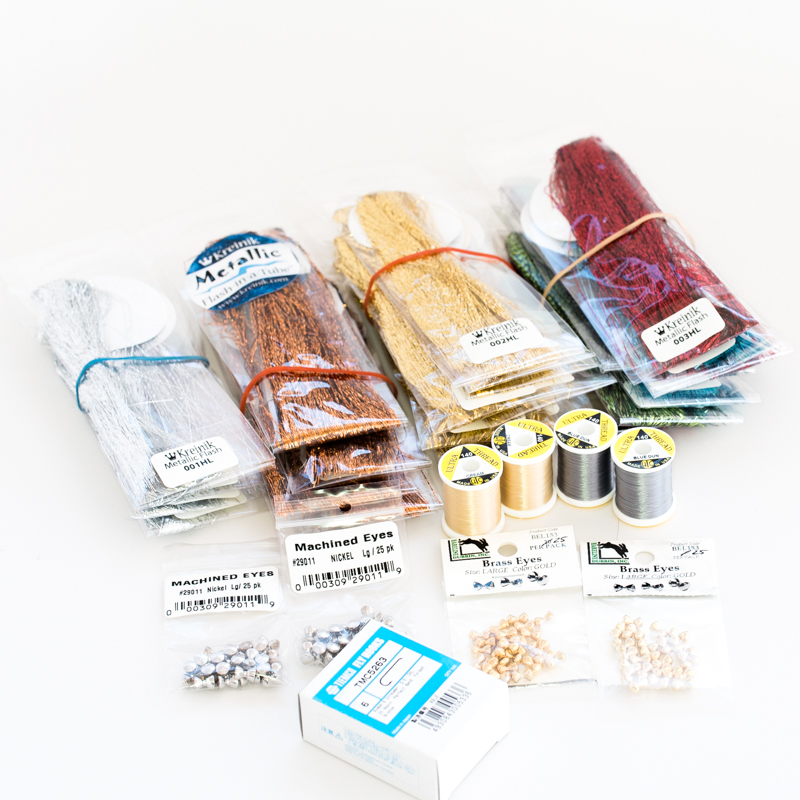 Headhunters fly guru Ben McNinch put together this incredible MEGA KIT for those who can’t tie enough Kreelex patterns in enough color combos. If you are a Kreelex addict like Ben, get this! The Kreelex has moved into the number one slot at Headhunters. 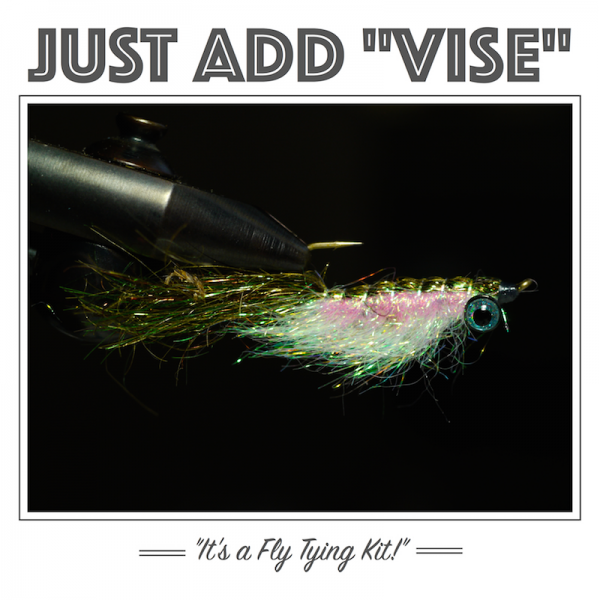 Flash always seems to rule on the Missouri River, and the Kreelex has it. 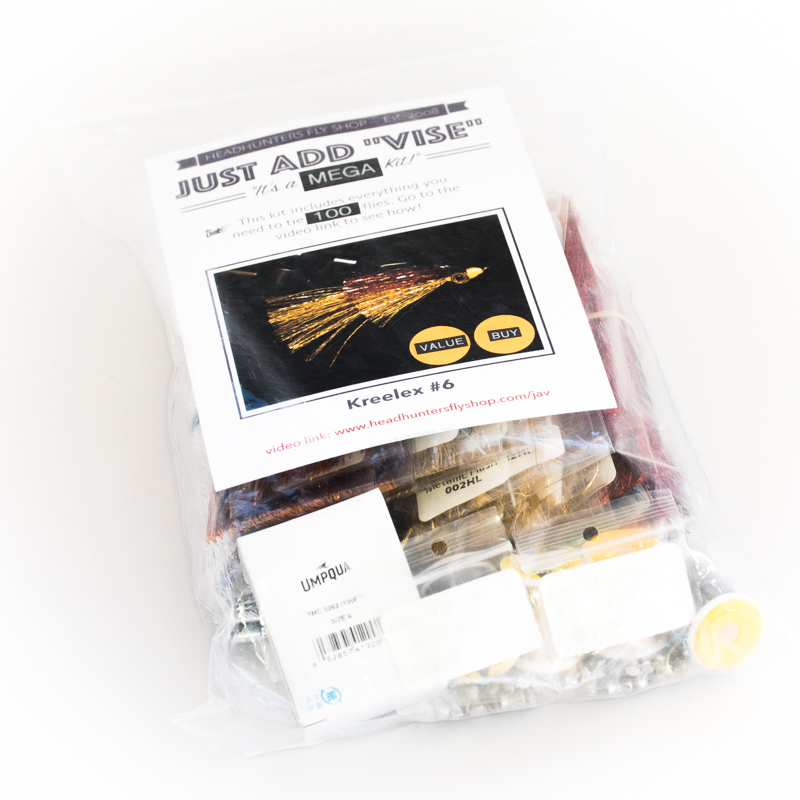 We’ve put together this Kreelex Fly Tying kit that will allow you to tie up 100 Kreelex minnows for your next fishing trip. These work everywhere. 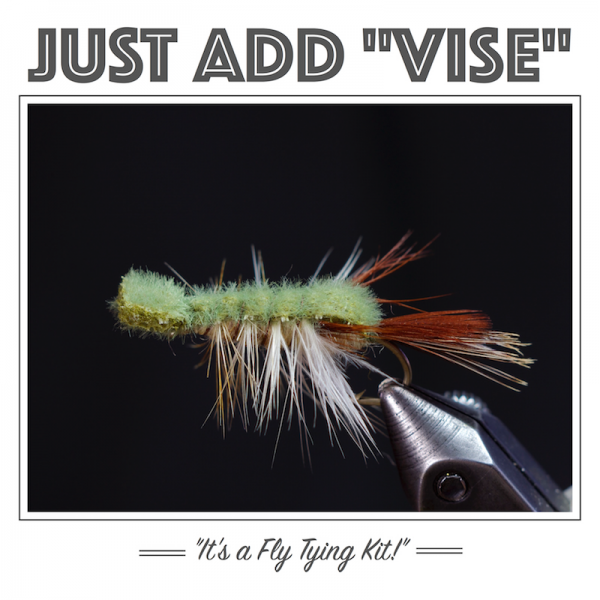 I have caught Browns, Rainbow, Bass, Crappie, Steelhead, and Salmon on Kreelex flies. 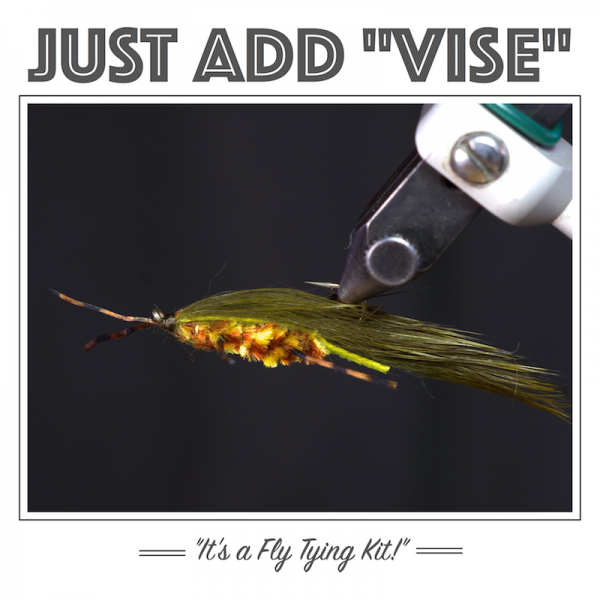 Make them 1″-3.5″ long, add red just behind the eyes for gills, use non-standard color. And just fun to fish.